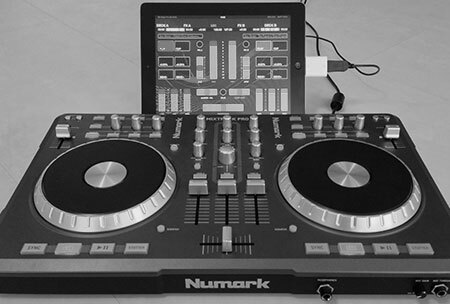 We were excited to learn about a pretty niche app DJ Player, for DJs that comes from Hungary. The app made by iMect has exceeded 500,000 downloads and has rave reviews. I wanted to know more about the app billed as the most professional DJ app on the market, so I caught up with the company’s founder and CEO, Gabor Szanto, and asked him to fill me in. Szanto has travelled a long way from Hungary to the United States and it’s not a vacation. He tells me that he’s in New York City right now on a trip which he hopes will ultimately result in financial backing for the company. They are currently bootstrapping and have positive cash-flow, but are currently looking for partners and hope to find some connections in the U.S. The app itself has been downloaded nearly 600,000 times and Szanto tells me that they have 160,000 daily users. It’s available for iOS and I’m told that there are no plans to develop for Android, Windows Phone, or other platforms and 90% of musicians and DJs out there use iOS. DJ Player, which is available to try for free, but costs $19,99 for the full app, and $0,99 for each update. Szanto believes that the advantage of his product is in its increased feature-set and the overall smoothness of the app. In terms of competition, there are apps like KORG iELECTRIBE, djay for iPad, DJ Mixer Pro and others.